The health care law attorneys at Elder Brinkman aggressively represent clients in litigation, regulatory and transactional issues involving the constantly changing health care landscape. Our health care lawyers specialize in handling litigation for anti-kickback and Stark II matters, false claims and Medicare fraud. In addition, our experienced and knowledgeable health care attorneys have successfully dealt with complex ­ related regulatory issues such as licensure and certification matters and health care insurance provider audits, along with regulatory false claims investigations and anti-kickback and Stark II situations. As our entire health care system undergoes radical and sweeping changes at all levels, many individuals and businesses require legal advice and support for a wide range of complex and often confusing health care issues. Elder Brinkman’s attorneys continue to stay at the forefront of both federal and state health care laws and can consult on a wide variety of issues you may be facing. From HIPPA and compliance issues and agreements with physicians to risk management, employment matters, medical records and provider policies — our professional health care law experts will help you make smart decisions based on relevant and current legal information. 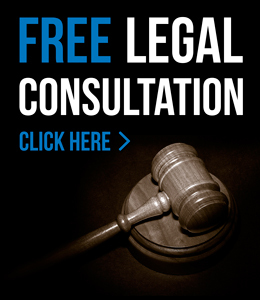 At Elder Brinkman Law, we understand Michigan’s medical marijuana laws. If you need information and guidance regarding the regulations for lawful distribution and cultivation, or advice on the regulations pertaining to legal marijuana possession with a valid prescription — the medical marijuana attorneys at Elder Brinkman Law can help. While medical marijuana in Michigan remains a hot button issue with aggressive enforcement and strong prosecution, it is important to obtain legal representation immediately. The criminal defense lawyers at Elder Brinkman Law have extensive experience to provide you with the outstanding legal representation that you deserve. For more information about the health care law attorneys at Elder Brinkman Law or to schedule a free initial consultation regarding a health care legal issue, contact our office today or call us directly at 313.582.5800.